This is the original drawing which was featured on page 110 of Nicolas Trudgian's 'Aviation Sketchbook'. It includes text, hand written by the Artist, which reads, "Trouble In Paradise. Corsairs of VF17 led by Lt. Cdr. 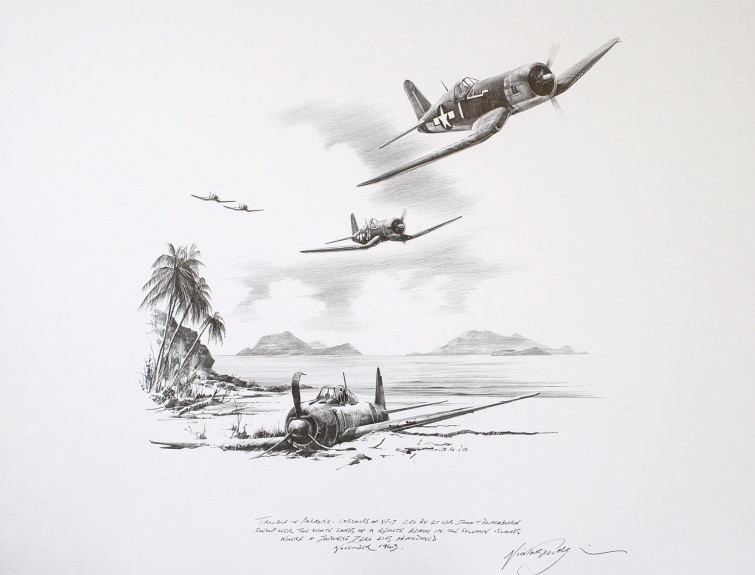 John T. Blackburn sweep over the white sands of a remote beach in the Solomon Islands where a Japanese Zero lies abandoned. November 1943."